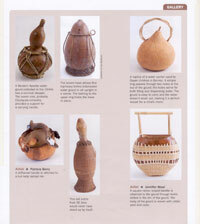 The use of fiber techniques on gourds began millennia ago when our ancestors were trying to figure out how to transport, more easily, these natural vessels. 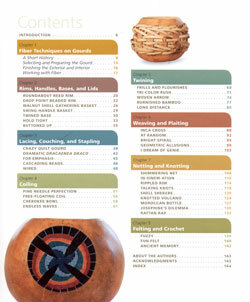 After all, there is a limit to how many gourds can be stacked on your head or carried at one time. 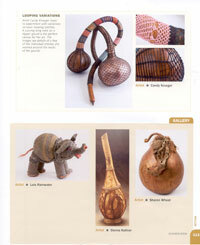 So began the inception of combining fibers with gourds. 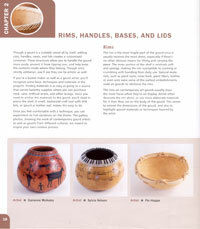 Dozens of fibers and techniques for using them with gourds are demonstrated in this book. 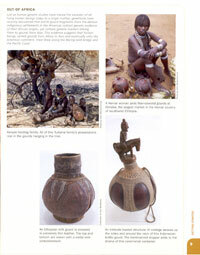 Gourds are still the most important container in many parts of the world. 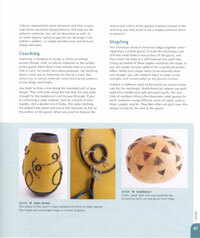 Lots of new ideas for creating exciting gourd art. Detailed photographic step-by-stp instructions for new techniques. Combination of ancient and contemporary techniques. 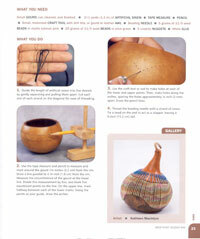 Learn a South American technique to embellish a gourd with telephone wire. 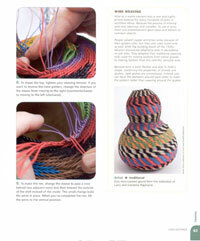 Basic and advanced basketry technique are shown. 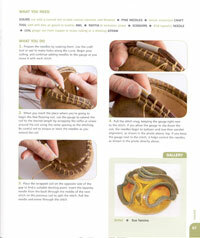 Learn many new pine needle coiling stitches. Couching is a lot more than just a single row of pine needles stitched around a gourd. 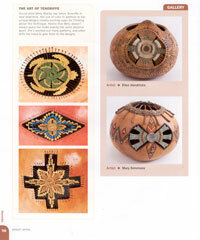 Needle weaving can enhance your gourd especially when color is introduced. 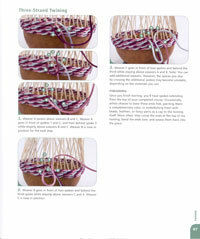 Learn lots of new uses and stitches for knotting and decorative knots. 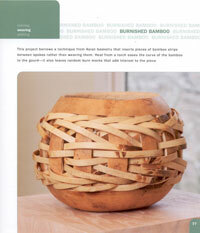 Knotless netting reaches new dimensions when combined on a gourd. 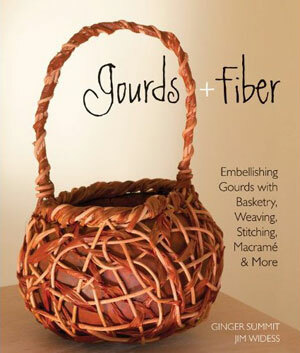 You'll find so many surprises in Gourds and Fiber... Don't wait! Order now! 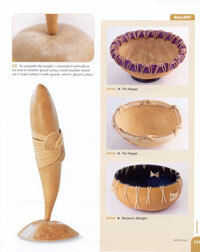 Page 107: Lynn Kearney was not given credit for this beautiful gourd she created for the book. Nor was the piece properly classified for the technique she employed in creating it. 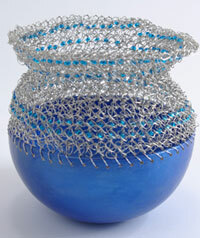 Silver wire and glass beads were crocheted around the rim of a small blue gourd base.